Good morning everyone....shake off those Monday blues with some #MondayMotivation! 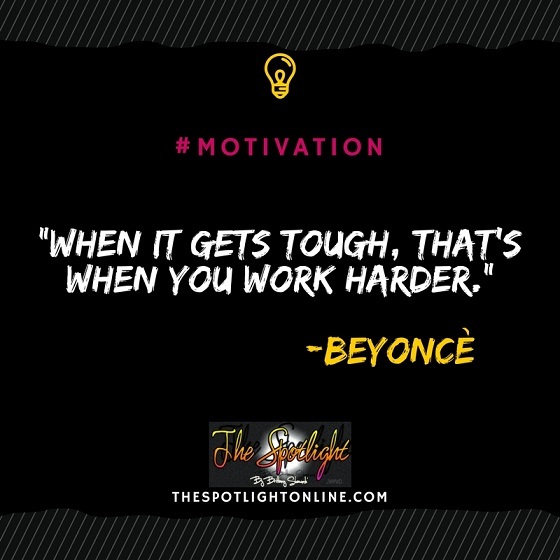 This quote is a simple but good one from my fave, Beyoncé from a past performance at Made in America, and it stuck with me. Life isn't easy. At 26, I'm still young, but I still have lived a good bit. Long enough to know that you go through plenty of ups and downs, and curveballs are thrown at you from all sides, but you have to push through regardless! Whether it be your work, your side hustle, your fitness journey, whatever. Challenge yourself to work harder, even in the midst of struggles.